Just because you aren't a scholarship athlete doesn't mean you can't get out and play the sports you love! 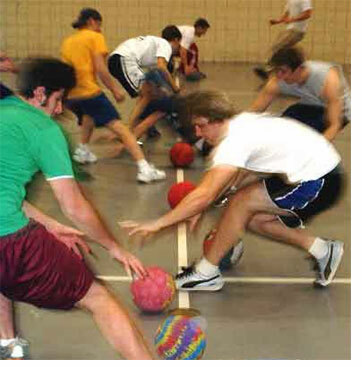 Florida State University offers Intramural Sports from the norm sports including football, basketball, soccer, etc. 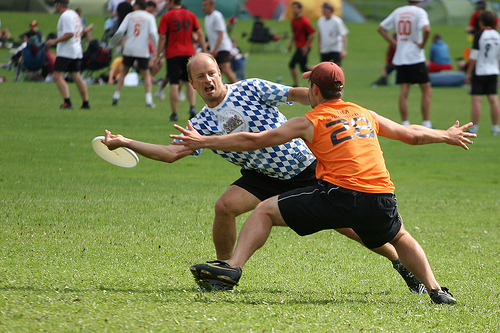 to less widely known sports including dodgeball, kickball, and ultimate frisbee. "But I don't have time for intramural sports," may be an excuse running through your head. If you don't can't make time for an intramural sport, you can always make it a part of you educational schedule. Florida State offers classes including dance, golf, basketball, outdoor adventures, bowling, volleyball, tennis, racquetball, weightlifting, soccer, flag football, ultimate frisbee, and practically anything there is an intramural sport for and even more! If you're interested in playing Intramural Sports, just log into your Blackboard account and under Secure Apps select the Intramural Sports Sign Up. So maybe sports aren't your thing...that still doesn't mean there aren't things that you can't get out and become a part of. At Florida State there are many events that you can help out with. Homecoming offeres events that you can become a part of. Not only are there university held events but often many organizations hold philanthropies to raise money for good causes. Whether its a 5k marathon or some sort of tournament, getting involved in it will keep you healthy both physically and socially! Dance Marathon is a philanthropy held every year. It involves standing on your feet for 36 straight hours! Although it sounds intense, you meet many people and it's for a good cause.